All four of our kiddies just love it. PetPals fleece ring of teasing. 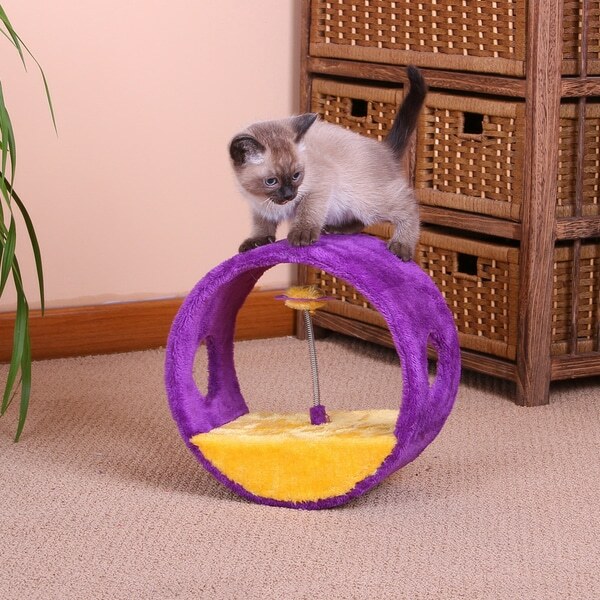 Interactive toy allows your cat to engage in hours of solitary play, which provides mental stimulation and needed exercise. Teasing balls are designed for your cats natural instinct to stalk and pounce on their prey, it keeps your pet interested when they swat it around. All materials tested using international safety standards. Contrary to popular belief, cats are trainable. Cats respond to positive reinforcement, repeating the training process several times in a row so that your cat learns why he's getting rewarded. You will, however, want to repeat the routine again the next day and continue it on a regular basis so that your cat doesn't forget what he's learned.